The good news: women are living longer, so they will have a longer period and extra years to enjoy their retirement. The bad news: women are living longer, so their retirement during these extra years will be much more expensive. Although men and women both face challenges in achieving their financial goals, women seem to have a few additional unique obstacles to overcome, and as such, a woman’s retirement planning demands more careful attention in order to reach their goals. Today’s retirement lifestyle for many women is more active, and more expensive than their male counterparts due to longer life spans, earning disparity, and interrupted work years for maternity. It’s critical to consider the key risks when women create their financial and retirement plans. We work to inform and educate women about financial issues that are relevant to them and their loved ones. Women generally earn less and have fewer savings. According to the Bureau of Labor Statistics, within most occupational categories, women who work full-time, year-round, earn only 83% (on average) of what men earn.2 This wage gap can significantly impact women's overall savings, Social Security retirement benefits, and pensions. Women are more likely to take career breaks for caregiving. Women are more likely to be living on their own. Whether through choice, divorce, or death of a spouse, more women are living on their own. This means they'll need to take sole responsibility for protecting their income and making financial decisions. Women sometimes are more conservative investors. Whether they're saving for a home, college, retirement, or a trip around the world, women need their money to work hard for them. Sometimes, though, women tend to be more conservative investors than men,5 which means their savings might not be on track to meet their financial goals. Women need to protect their assets. As women continue to earn money, become the main breadwinners for their families, and run their own businesses, it's vital that they take steps to protect their assets, both personal and business. Without an asset protection plan, a woman's wealth is vulnerable to taxes, lawsuits, accidents, and other financial risks that are part of everyday life. 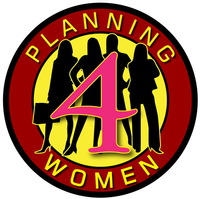 But women may be too busy handling their day-to-day responsibilities to take the time to implement an appropriate plan. Create a budget, manage debt and credit wisely, set and prioritize financial goals, and implement a savings and investment strategy to meet those goals. Learn basic investing concepts, such as asset classes, risk tolerance, time horizon, diversification, inflation, the role of various financial vehicles like 401(k)s and IRAs, and the role of income, growth, and safety investments in a portfolio. Look for investing opportunities in the purchasing decisions you make every day. Have patience, be willing to ask questions, admit mistakes, and seek help when necessary. Save as much as you can for retirement. Estimate how much money you'll need in retirement, and how much you can expect from your savings, Social Security, and/or an employer pension. Understand how your Social Security benefit amount will change depending on the age you retire, and also how years spent out of the workforce might affect the amount you receive. At retirement, make sure you understand your retirement plan distribution options, and review your portfolio regularly. Also, factor the cost of health care (including long-term care) into your retirement planning, and understand the basic rules of Medicare. Have confidence in your work ability and advocate for your worth in the workplace by researching salary ranges, negotiating your starting salary, seeking highly visible job assignments, networking, and asking for raises and promotions. In addition, keep an eye out for new career opportunities, entrepreneurial ventures, and/or ways to grow your business. Seek help to balance work and family. If you have children and work outside the home, investigate and negotiate flexible work arrangements that may allow you to keep working, and make sure your spouse is equally invested in household and child-related responsibilities. If you stay at home to care for children, keep your skills up-to-date to the extent possible in case you return to the workforce, and stay involved in household financial decision making. If you're caring for aging parents, ask adult siblings or family members for help, and seek outside services and support groups that can offer you a respite and help you cope with stress. Identify potential risk exposure and implement strategies to reduce that exposure. For example, life and disability insurance is vital to protect your ability to earn an income and/or care for your family in the event of disability or death. In some cases, more sophisticated strategies, such as other legal entities or trusts, may be needed. To ensure that your personal and financial wishes will be carried out in the event of your incapacity or death, consider executing basic estate planning documents, such as a will, trust, durable power of attorney, and health-care proxy. It is important for women to educate themselves about finances, make financial decisions, and implement plans to ensure that they and their families will have financially secure lives. There is no assurance that working with a financial professional will improve investment results.